A Colorado startup says it’s solved one of the emerging problems in the legal cannabis industry: how to get the dose exactly right. GoFire Inc., based in Denver, is raising a $5 million round that values the company at almost $30 million, according to Chief Executive Officer Peter Calfee. Its product is a high-end vaporizer, backed by patents, that will retail for $499. It doles out a precise amount of marijuana oil — 2.5 milligrams — that is heated, turned into vapor, and inhaled. With legal access to cannabis spreading, the marijuana industry is trying to demystify and rebrand the drug in a bid to broaden its reach beyond established stoners. Dosing has become a hot topic, part of the pitch to the inexperienced cannabis consumers who are starting to visit dispensaries to buy the potent weed that’s available these days. As the thinking goes, the soccer mom swapping chardonnay for a vape pen as she tries to unwind doesn’t have time to spend four hours locked to the couch, so she needs a way to control how much marijuana she’s consuming. 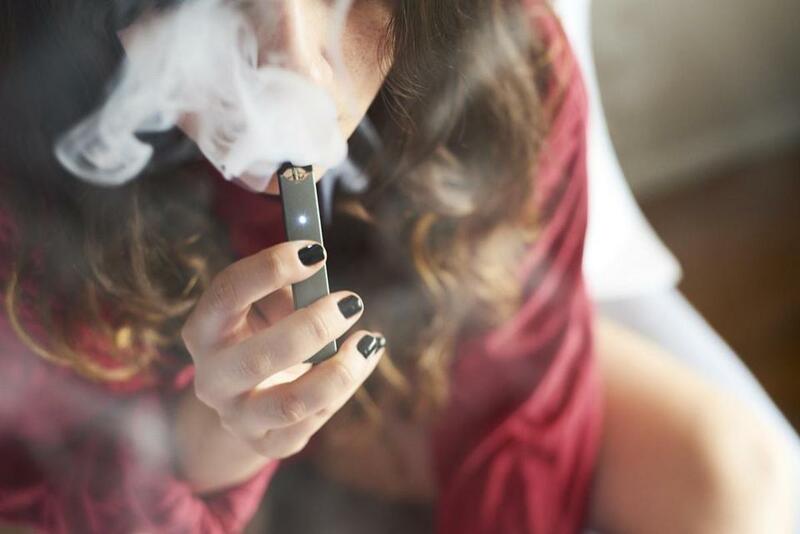 Vaporizers, including disposable pens, are becoming more popular in legal cannabis markets, because they’re discreet and generally deliver a lighter dose, which is increasingly becoming part of the marketing pitch. Calfee, 27, says other products on the market don’t stand up against the precision of GoFire’s Metered Dose Inhaler. Getting the dose right isn’t unique to marijuana. Drinkers have been overindulging for about as long as alcohol has existed, and it’s pretty easy to have too much wine and embarrass yourself at the office party. The difference, industry observers say, is that more and more consumers with little to no cannabis experience are coming into the market, and they don’t know much about the products or their tolerance. And while most drinkers learn their limits, weed can be more unpredictable. The concern is that new consumers will be turned off by a bad experience, much like what happened with Maureen Dowd. The New York Times columnist ate too much of a cannabis chocolate bar during a visit to Colorado in 2014 and spent the next eight hours paranoid and hallucinating in her hotel room. Increasingly, cannabis consumers are moving away from flower, the industry’s preferred term for actual bud. In 2018, vapes accounted for 20 percent of the marijuana sales in Colorado, Nevada, Washington, and California, according to the cannabis data firm Headset. That was up from 10 percent the prior year. Dosist is one of the best-known brands of vape pens in California, the world’s largest pot market. The sleek white devices are disposable, and one containing marijuana oil for 200 doses sell for $100. The product buzzes and shuts off after the user inhales for about three seconds, doling out 2.25 milligrams of weed. Going to a dinner party? Maybe one puff is enough. Relaxing with Netflix on Friday Night? That could be a double-dose occasion. “The idea is to take the guesswork out of cannabis,” Winston says. High-end vaporizers are nothing new. Storz & Bickel, a popular brand sold at dispensaries, makes a device called the Volcano Digit that sells for $599, while a portable version, called Mighty, goes for $349. Heavy users have long seen vaporizers, which heat but don’t burn marijuana, as a safer way to consume cannabis. GoFire, like Pax, is drawing attention from investors partly because it “doesn’t touch the plant,” industry speak for companies that don’t deal directly with marijuana, which is still illegal federally. That also means the device can be sold across the United States and in Canada. Calfee knew he was on to something late last year when he got word that Canada’s Canopy Growth Corp., the world’s most valuable weed company, had a patent application blocked because of existing intellectual property held by GoFire. The premium GoFire vaporizer is expected to be launched nationally in April and will initially be sold online. So far, the company hasn’t spent money on marketing, but is preparing to put more than $1 million behind the roll-out. The price will be $250 for consumers who have a doctor’s note, Calfee says. The vaporizer can be used with a mobile app that will let patients track how much cannabis they consume and the strain, as well as let them record their reactions to the dose, data that could be harnessed by researchers. The devise also uses convection heating, which Calfee says keeps the flavor of the marijuana intact. “Our setup allows for true consistency and control,” he says.